Striped dishcloths 14 x 12inches. 10 cloths per pack. 15' x 15' Mighty Wipes Colour Coded cleaning cloths for dry & wet applications. The Mighty Wipes cleaning cloths absorb up to 10 times it's own weight in water, are soft and gentle, yet very strong. Suitable for use in commercial environments where hygiene & COSHH considerations are paramount. Available in Blue, Green, Red & Yellow. 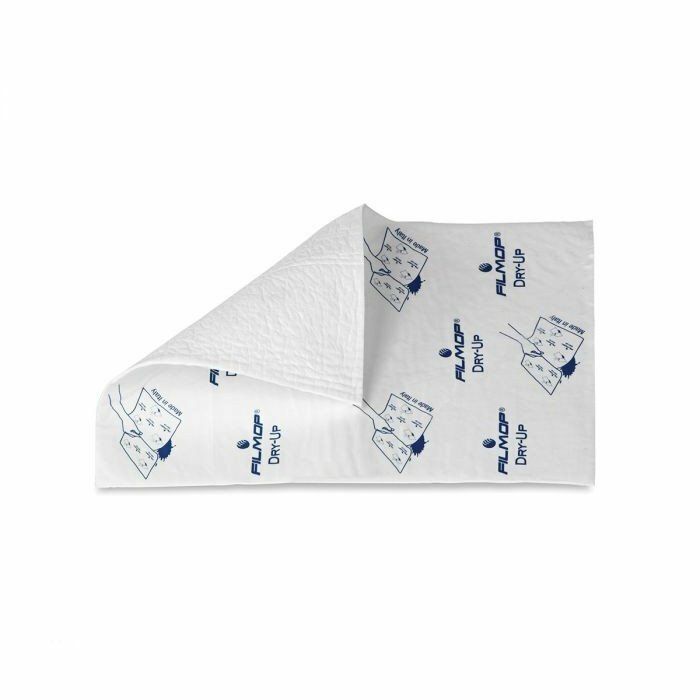 These EcoTech Envirowipe Cleaning Cloths are 100% natural & recyclable, anti-bacterial & fully compostable, making them the most environmentally friendly cleaning cloth on the market. They’re designed with fantastic wiping performance, they don’t tear or shred, easy to rinse clean & absorbs up to 10 x its own weight. Machine washable if desired. A heavy weight, reusable product designed for the toughest wiping tasks. Produced with a fibre blend high in viscose content, the cloth allows for high absorbency for speed of pick up in areas of heavy spills. Is perfect for the food, medical, pharmaceutical, dairy and printing industries and is the ideal product to be used in any environment where superior strength and absorbency is required. Clean up spilt liquids with the new Dry-up super absorbing disposable pad. An innovative product changing the way you deal with liquid spillages forever, without the need for heavy mopping or wiping. The Dry-up pad replaces time consuming traditional methods, where liquids had to be soaked up, treated with chemicals and left to dry. Once used, it now only requires a quick wipe to remove any residual liquid. One Dry-up pad can absorb up to a litre of liquid, and the used pad can then be safely disposed of. The pad has three layers to remove spills quickly and hygienically. The bottom layer soaks up liquid, drawing it into the super-absorbent middle layer, which changes it into a gel and bonds it securely into the pad so it cannot leak back. The waterproof top layer stops anything leaking through and ensures the user does not come into contact with any unpleasant or hazardous spillages. 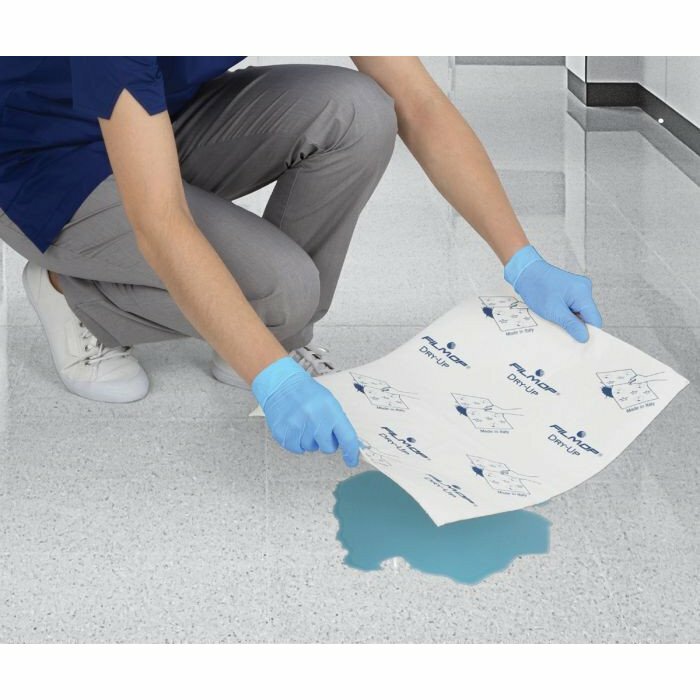 It’s ideal for a wide range of liquid spills including oils in kitchens or garages, water and other liquids, or even blood and urine in hospitals, though disposable gloves should always be used to prevent contamination.